Glitz Residence Three ... a rendition. 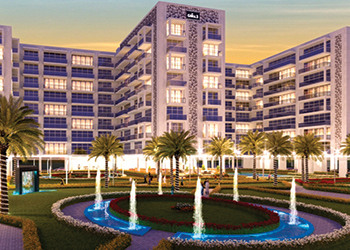 Naresco Contracting has won the main contract for Danube’s Dh350-million ($95 million) Glitz Residence Three development in Dubai Studio City, Dubai, UAE. This is the third major win for Naresco after it bagged contracts for Glitz One and Two last year. The current contract is worth Dh185 million ($50 million). Glitz is a luxury lifestyle concept developed by Danube Properties, which says that the project’s every detail complements the lifestyle that today’s young urban family expects in a green landscaped environment. Glitz Three will have a selection of 352 units, offering a mix of contemporary style apartments that will include studios, and one, two and three bedrooms. It is expected to be complete by 2017-end. Danube’s first project Dreamz is well on schedule for delivery whereas other projects, such as Glitz Residence One, Two and Three, and Starz are all four to five months ahead of schedule. Indian engineering and construction firm Larsen & Toubro (L&T) said it has achieved a major safety milestone during the construction of key facilities at its Riyadh Metro project in Saudi Arabia, clocking over 15 million safe man hours without lost time injuries (LTI). As per the deal awarded by BACS consortium (Bechtel-Almabani-CCC-Siemens), L&T is building ballastless tracks for lines One and Two of the Riyadh Metro on a design-and-build basis. The project involves the construction of 62.86 km of double ballastless tracks in tunnels, viaducts, at-grade sections and three depots. Indian Prime Minister Narendra Modi recently visited L&T’s Riyadh Metro project site during his first official tour of Saudi Arabia and interacted with the company’s project personnel including blue-collared workmen as they celebrated the safety milestone. The premier was welcomed by L&T group executive chairman AM Naik and SN Subrahmanyan, the deputy managing director and president at the site. “This is a truly remarkable day for the Riyadh Metro project and we are grateful to the Prime Minister for having spared the time and given due recognition and importance to this huge and iconic project, definitely one of the biggest that we are involved in,” said Naik. “We fully appreciate how crucial this project is to Saudi Arabia and, more particularly, to the city of Riyadh and we are fully committed to completing and delivering our part of this prestigious project as per the stipulated deadlines maintaining the highest standards of safety and quality,” he stated. The project, which has been awarded to the railway business unit of L&T Construction, is due for completion by the end of 2018. Geoharbour Middle East Construction, a leading UAE-based company specialising in ground engineering, design, research, construction and consultancy, is looking towards reinforcing and expanding its presence across the Middle East. It aims to leverage its diverse range of world-class ground engineering services across construction and development companies in the region by offering solutions integrated with the latest geo-engineering technologies on an engineering, procurement and construction (EPC) basis, including ground improvement, bored and driven piling works and all types of shoring works. “In spite of international market fluctuations, we are still witnessing a large influx of projects in the region’s construction segment. 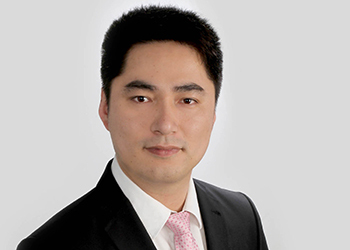 In line with this, we are also seeing an increased demand for geotechnical services,” says Wiliam Chen, executive director, Geoharbour Middle East Construction. Geoharbour has already opened a regional office in Dubai and a branch office in Abu Dhabi in the UAE, as well as branch offices in Saudi Arabia, Oman and Kuwait, says a company official.